Undercover not only is able to provide their customers with some of the highest quality canopies currently on the market but also has mastered the fine art of developing some of the finest accessories for their merchandise. 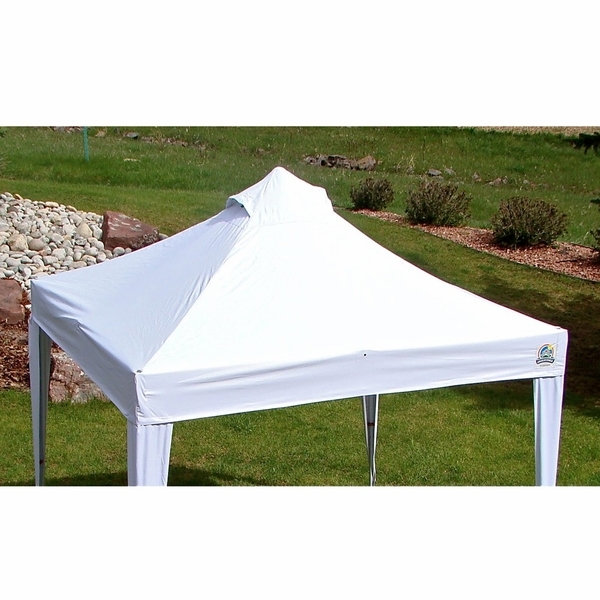 With the Denier White Polyester Canopy Top, you have just the canopy top that has been specially designed to block out almost every UV ray that comes your direction, making sure that the risk of sunburn is kept at a minimum. I own a Craft Show 10x10 Canopy Package, 4 Sidewalls. Will this Undercover 300 Denier White Polyester Top fit my old frame? It is the same 10x10 dimensions. Great buy, will last a good long time!!! such a beautiful canopy, great for shade, I have not needed to buy a new one in 10 seasons. ProsFits well! looks great! gives very good shade. I live in Louisiana and the sun can be very harsh on most everything, this stands up to the heat! Would not buy from anywhere else, worth every penny!! !